Hello! I made this for today's Your Next Stamp Fun Friday! 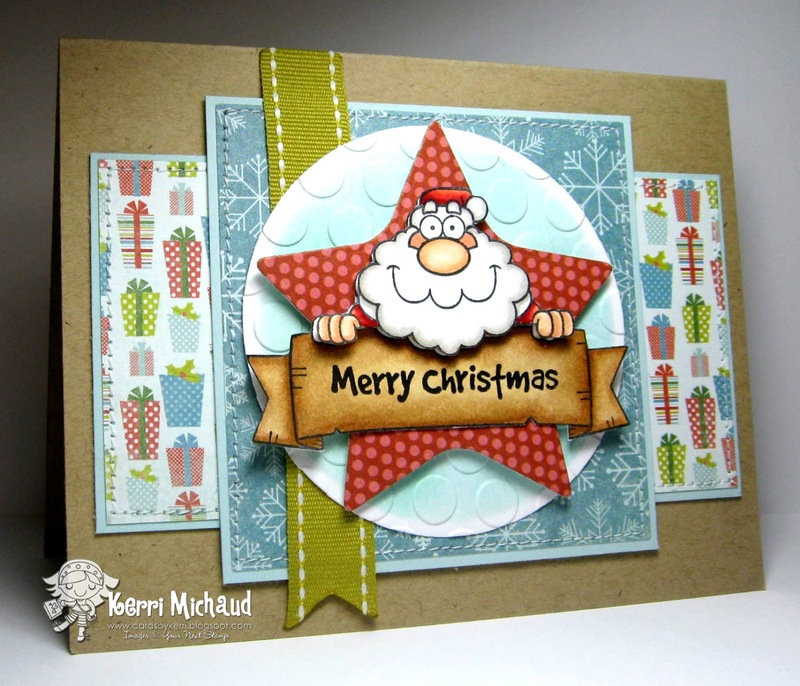 I used one of the adorable new Cory Designs images called Santa's List. I just love this new line of stamps! I popped him up over a star that I cut with the YNS Whimsy Star Layered Dies. The dp is My Mind's Eye Winter Wonderland and the layout is MOJO264. Make sure you check out the Your Next Stamp Blog for more fabulous DTprojects today and I hope you have a wonderful weekend! This is fabulous Kerri! I love this sweet card! This is so fun and super cute! Love that Santa! Love this card! how cute! !